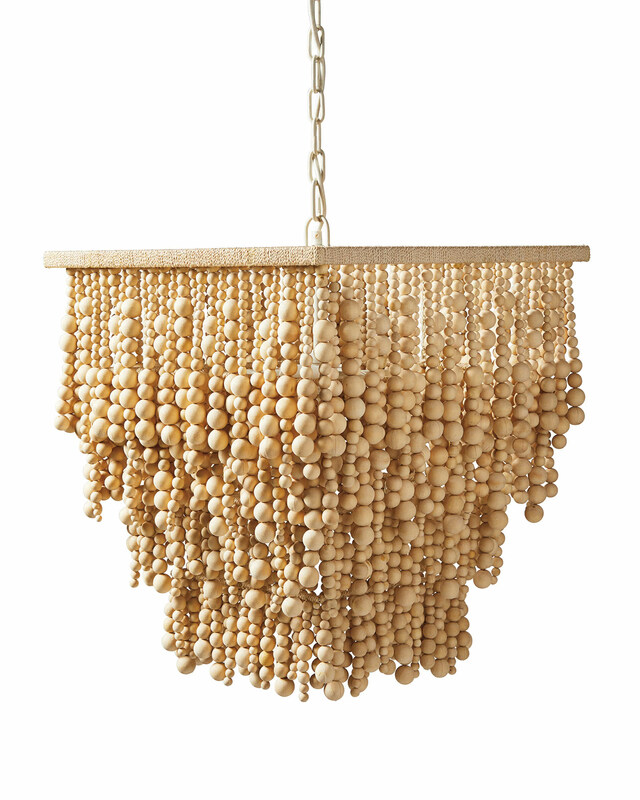 Sorrel ChandelierSorrel Chandelier, alt="Sorrel Chandelier, "
Print Three tiers of wood beads – each carved, bleached, and strung by hand – are suspended from a frame hand wrapped in natural abaca. 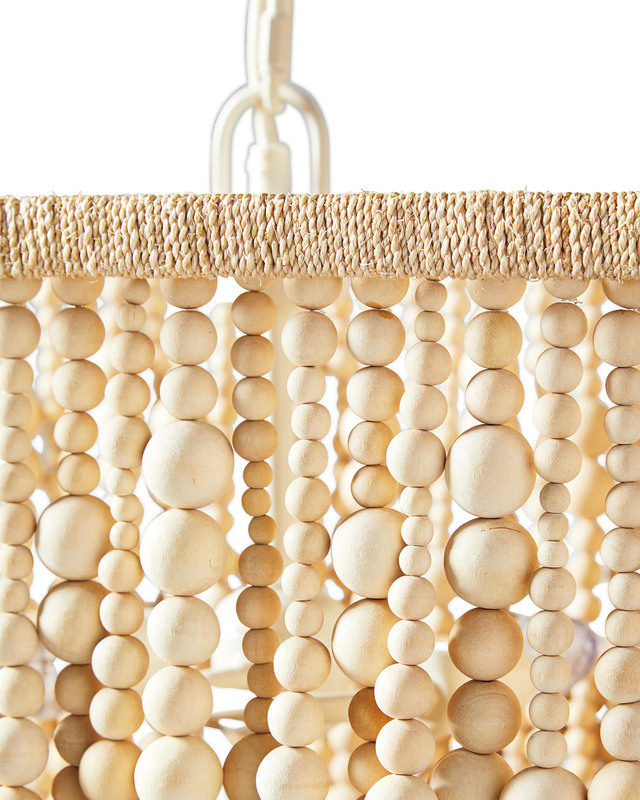 Beachy and textural, it has a natural tone that we love. The scale is dramatic. 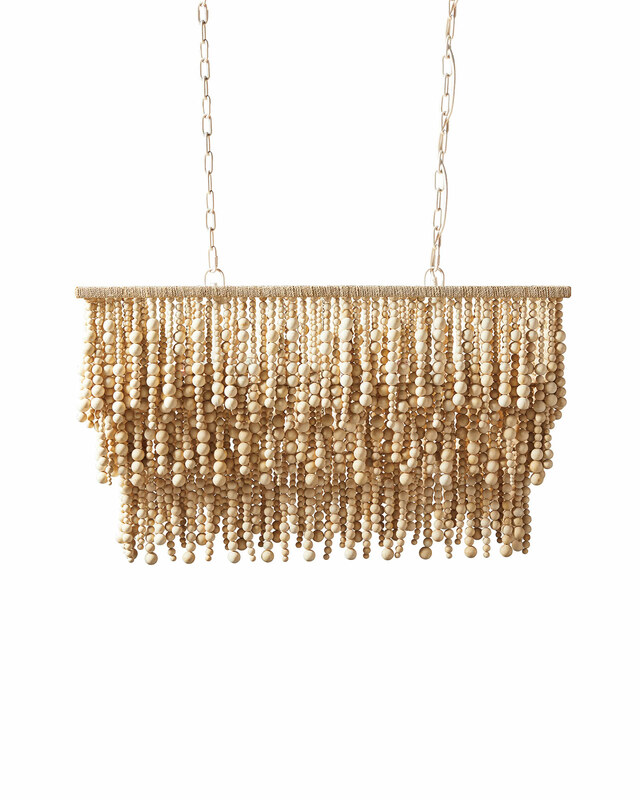 We like it over a grand table or making a grand entrance as foyer lighting. Carved and bleached wood beads. 3-tiered iron frame hand-wrapped in abaca. Square uses 2 Type B bulbs, 40W max. Rectangle uses 4 Type B bulbs, 40W max. Square: 20W" x 20D” x 25.5"H overall. Adjustable chain: 96”L. Rectangle: 38”W x 19”D x 22”H overall. Adjustable chain: 96”L.